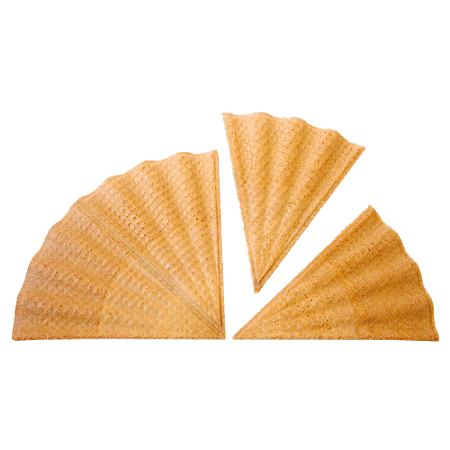 Our fancy Dessert Wafers are great for ice cream toppers, cake toppers, or just with a cup of coffee. Disclaimer: Wafers are extremely fragile and susceptible to damage during shipping. While we do package them as carefully as possible, some wafers may still be damaged during transit. Matt’s Cones is not responsible for cones damaged during shipping.